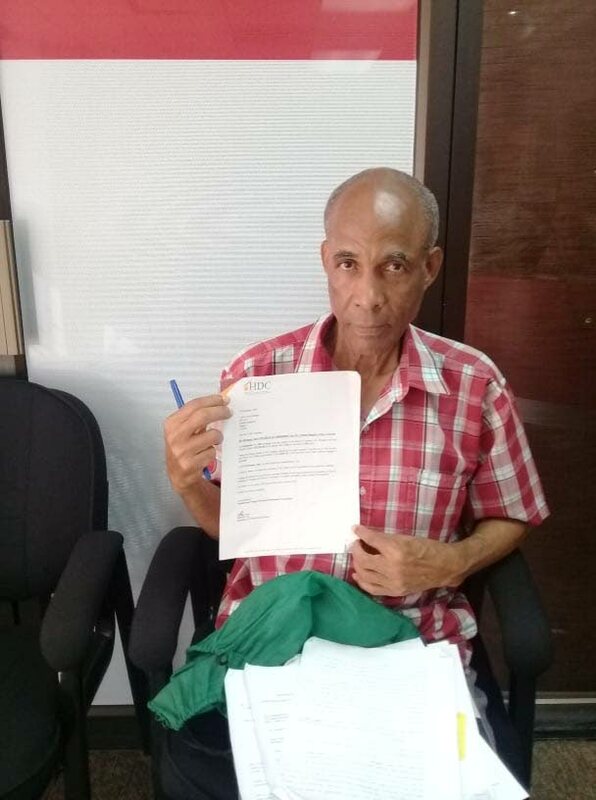 Retired Part Authority worker Cyril Berkely holds up a document from the HDC acknowledging the receipt of his documents. Berkeley says he received several similar letters in response to his queries but is no closer to receiving the deed to a property he paid off for in 2002. “I have visited the HDC’s Port of Spain office a total of 72 times over the past 17 years – each time with the same result. I have written to their chairman Brent Lyons also, and each time I get a document saying that my paperwork was forwarded to the Legal Department for the preparation of a deed and deed ownership. Berkely said one HDC official told him he had not got the deed yet because the property was built on land belonging to the Port of Spain City Corporation and the HDC has yet to receive the ownership to these lands and therefore could not legally prepare any deeds certifying ownership. Reply to "Retiree waiting for deed 17 years after payment"